Winner of many awards and a competitor in the Palme d’Or at the 2015 Cannes Film Festival, the Italian film, Mia Madre by Nanni Moretti explores the struggles of a woman trying to balance work and family. Hard working film director Margherita (Margherita Buy) is directing a new film starring American actor Barry Huggins (John Turturro), who tends to be quite the headache for Margherita on set. Away from the film production, Margherita tries to get her life together despite her torn family and her sick mother. 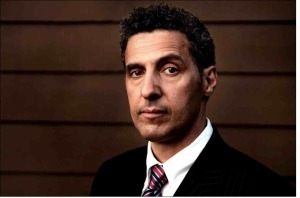 Italian-American actor John Turturro has starred in many American and Italian films. S ome of his best-known films include The Big Lebowski (1998), Oh Brother Where Art Thou? (2000), Quiz Show (1994), and La Tregua (The Truce, 1997). Born and raised in Brooklyn, New York to a Sicilian mother and a father from Bari, John grew up immersed in Southern Italian culture. He is a citizen of both the U.S. and Italy and has an Italian passport. His Italian heritage combined with his American roots make him an ideal actor to bring together these two cultures in movies and TV shows. The relationship between Turturro’s and Buy’s characters in Mia Madre invites comparisons between two cultures and discussions about balancing work and family. Come see how these two actors bring all of this to life at our upcoming Cineforum on Saturday, January 30th at 4:00pm. Register to reserve your spot by the 28th!